Drawing on our extensive experience of conducting research projects, the PMR Research team has developed proprietary methodologies dedicated to three areas of research: market analysis, pharmaceutical and medical sector research and brand research. PMR Market Insight is a methodology developed and used by PMR to assist in the preparation of reports and industry analysis. It defines the ways in which data should be collected for reports and outlines the methods to be used in analysing and processing the data and information gathered. PMR Medical Panel comprises a steadily expanding panel of doctors in Poland. Panel participants are doctors and medical professionals from a diverse range of specializations who have agreed to take part in medical and pharmaceutical market research studies conducted by PMR Research. 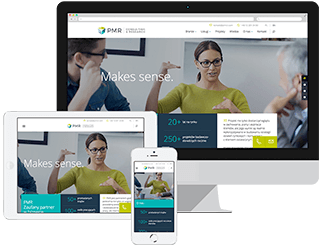 PMR Brand Image research methodology provides our clients with reliable information about the way their products and services are perceived by the market. Psychographics is a lifestyle segmentation. It segments the entire population into homogeneous groups according to lifestyle. Segments are then described as a factor of their demographics, consumer behaviour and media usage. The segmentation is product-specific, which means that consumers are segmented due to their lifestyles related to particular markets.